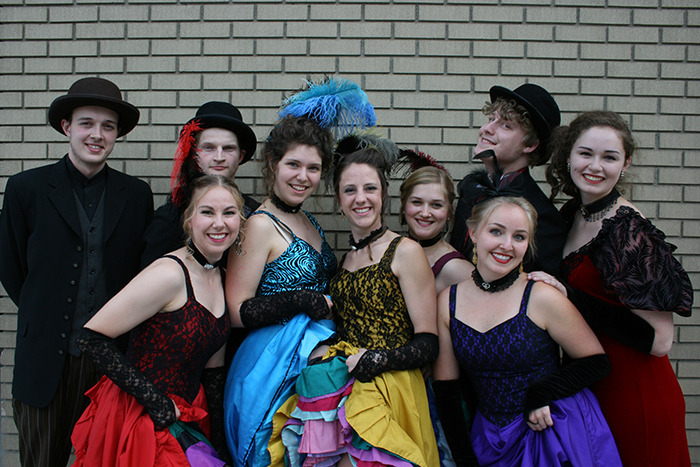 The cast of the Gold Fever Follies provided a colourful and entertaining interlude during Monday’s city council meeting. The cast of the Gold Fever Follies provided a colourful and entertaining interlude during Monday’s city council meeting. Before performing the opening number from the show set to open July 1, the cast explained the plot of this year’s show. The program is inspired by Shakespeare’s Romeo and Juliet but instead of Montagues and Capulets, the rivalry is between Rossland and Trail.